Shepherd’s Pie is quintessential comfort food. All in one dish. This recipe is as beautiful as it is delicious. 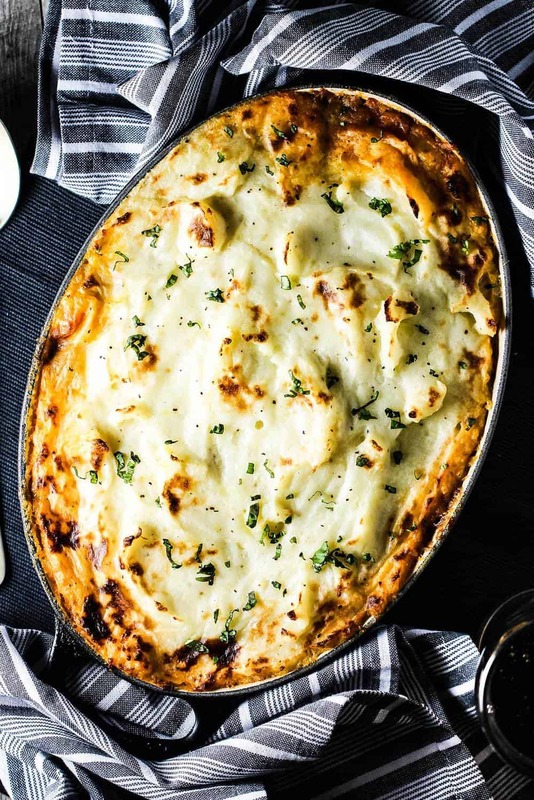 Oh my goodness, how we love homemade Shepherd’s Pie! 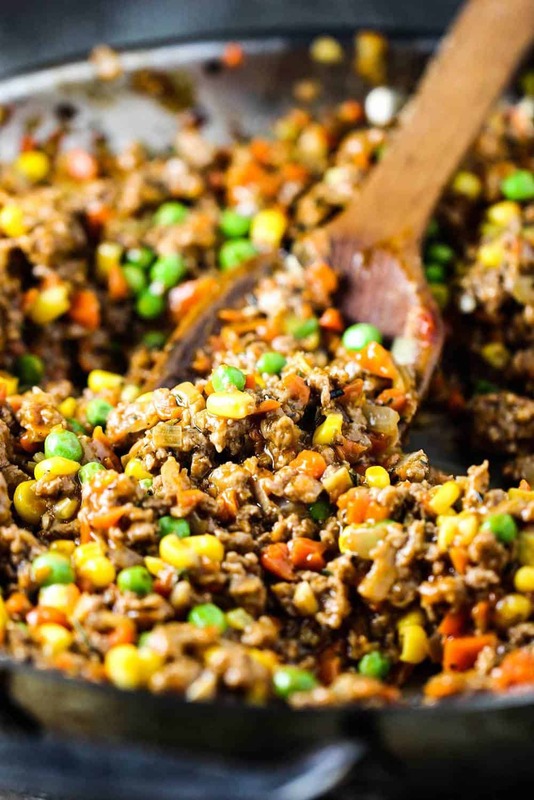 The meat filling is loaded with vegetables and aromatics and comes together in about 20 minutes. 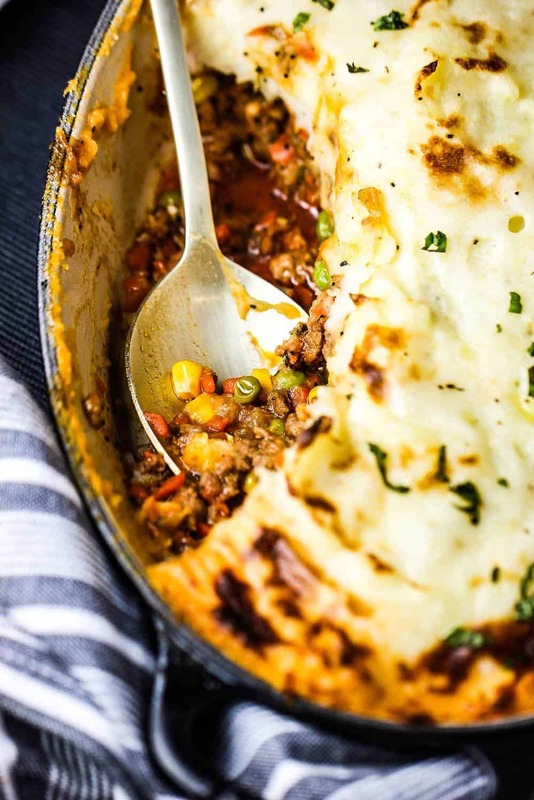 Ground lamb is the traditional protein in classic shepherd’s pie, however, you can substitute beef, if you prefer. Technically, if you use beef instead of lamb, it’s called Cottage Pie. We think lamb works perfectly in the dish. What could be better than a dish that has its meat and potatoes living together in one serving! 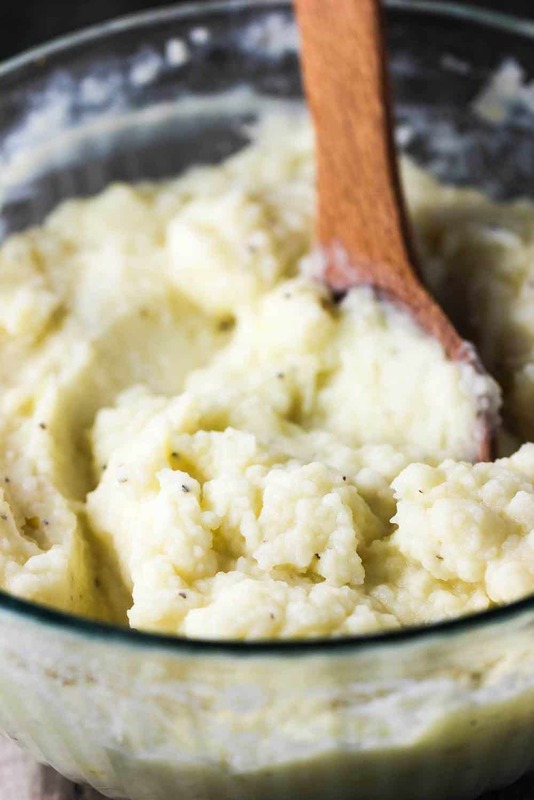 When you prepare the whipped potatoes, it may seem like they have a little too much liquid. Don’t worry, as the dish bakes, they firm up and develop a perfect almost crust-like texture. Use a 2-quart baking dish (an 11″x 7″ works) for adding the filling. Carefully spoon the potatoes over the top of the meat and veggie filling. Make sure to get the potatoes all the way to the side of the dish. This will help to keep the filling from bubbling over, but it’s perfectly fine if some of the juices do bubble up. 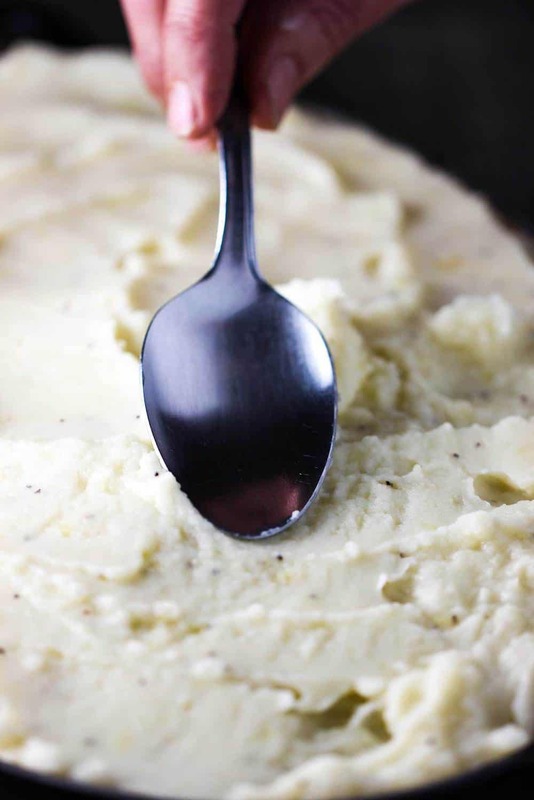 The back of a large metal spoon or fork is the perfect tool for creating small ‘wisps’ on the whipped potatoes. As the shepherd’s pie bakes, these wisps will brown slightly, adding to the beautiful appearance and wonderful texture. Oh, we’re getting so close! 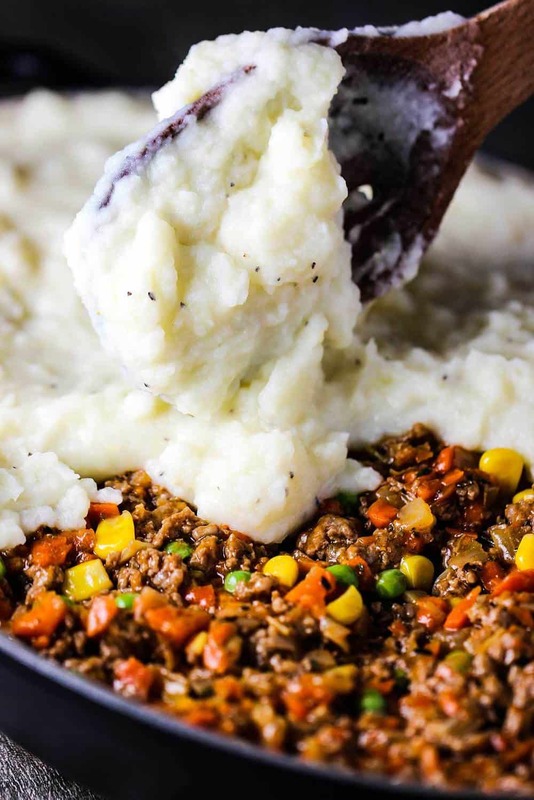 This history of Shepherd’s Pie dates back to 18th Century in Britain and Ireland. Although it is popular during the cold winter months and certainly on St. Patrick’s Day, it’s so comforting and delicious, we love it year round. The dish is wonderful fresh out of the oven, but it also make amazing leftovers! Shepherd’s Pie can easily be made in stages. The meat mixture can certainly be made a day in advance. And the potatoes can, too. The dish also freezes wonderfully. Simply let thaw, and then bake as you normally would. Or, bake for an additional 45 minutes if no time to thaw. Shepherd’s Pie is pure comfort and so incredibly satisfying. 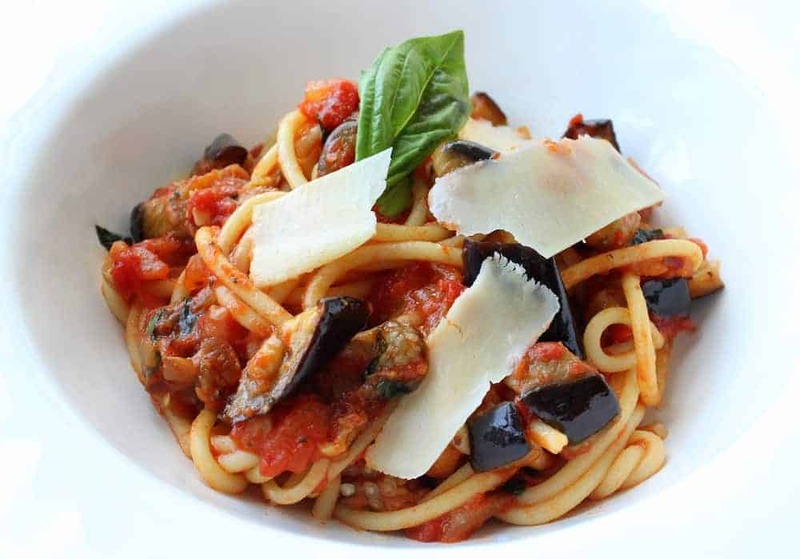 Prepare for lots of “oohs” and “ah’s” when you place this dish on the table. 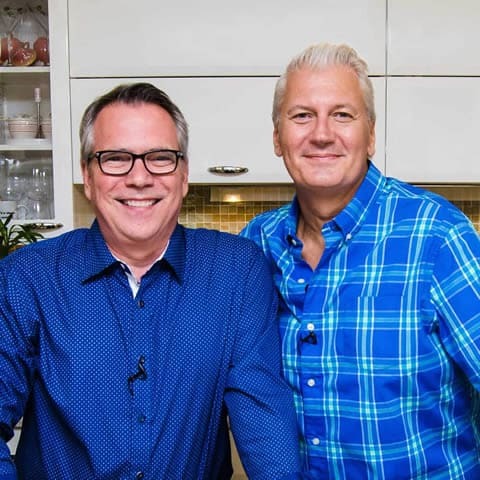 Looking for another St. Patrick’s Day favorite dish? Try our authentic Irish Soda Bread! Shepherd's Pie is truly the ultimate comfort food. What other dish gives you your meat and potatoes all in one pot? 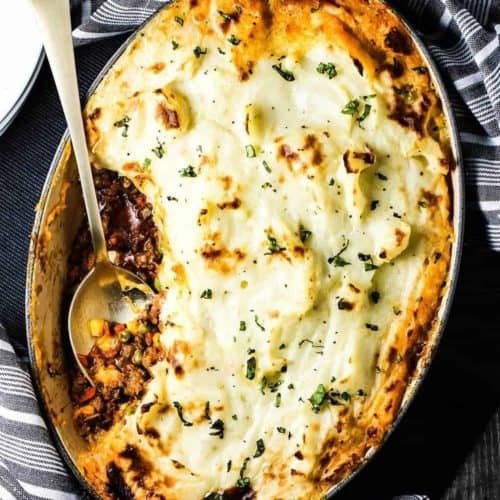 The filling is savory and loaded with vegetables and the whipped potatoes bake to perfection in the oven. 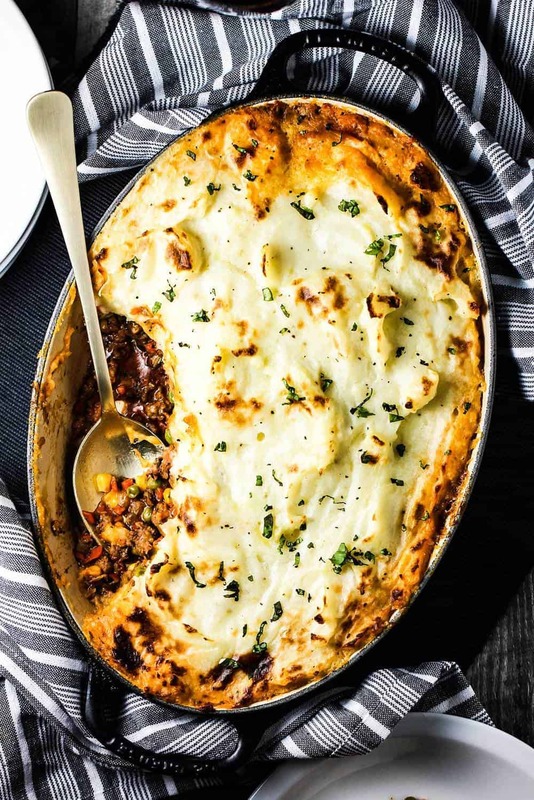 Beef can be substituted for the ground lamb, but then it's called Cottage Pie. We love lamb! It works perfectly in this iconic dish. Melt the 2 tbsp butter in a large skillet over medium-high heat. Add the leeks, onion, and carrots and cook until softened, about 5 minutes. Add the garlic and cook for about another minute. Add the lamb to the skillet, breaking it up with the back of a wooden spoon. Cook until just no longer pink. If too much fat has rendered, carefully tip the skillet to one side and use a large spoon to scoop out most of the grease. Sprinkle the flour over the meat and then add the tomato paste, stirring to incorporate into the meat mixture, about 1 minute. Whisk in the stock and Worcestershire sauce and then add the thyme, rosemary and nutmeg. Increase heat and bring to a boil. Lower the heat and simmer for 10 minutes, until sauce has thickened somewhat. Meanwhile, place the potatoes into a large pot and cover with salted water (about 2 tbsp of salt). Bring to a boil over high heat. Simmer for 20 minutes, or until potatoes are cooked and easily pierced with the tip of a sharp knife. Drain and add the potatoes to a large bowl. Add the half-and-half, butter (6 tbsp), salt and pepper, and mash with hand mixer, or potato masher until smooth. Taste and add more salt, if necessary. Stir in the corn and peas into the meat mixture. Layer the meat mixture into a 2-quart baking dish (11"x7" works well). Top with the potatoes, spreading them so they touch (and seal) the sides of the dish and are even all over. Use the back of a spoon to smooth and create swirls and little wisps. Bake for 30 minutes, or until bubbling and the wisps have slightly browned. If you desire the potatoes to brown a little more, place under the broiler (on high) for about 1 to 2 minutes. (Keep an eye on them as broilers vary). Remove from oven and let rest for 10 minutes on a rack. Garnish with chopped parsley on top, if desired.